Alright, so when I am done editing the 3 days of photos shoots, I am going to start learning more about these players. I know zero about them, but since now I am fan of New York City FC, I have some homework to do. But if you are a big fan of the sport and you are ashamed of me, please know I played in high school and a little in college. I can appreciate the sport and enjoying watching it. But don't ask me to play. My home is on a weightlifting platform and no cardio! Fútbol, as the my teammates in high school would call it, is a sport that is passionate, tough, wild, reckless, and often the fans are very much the same way. The energy at Citifield was everything I imagined. NYC FC vs Columbus and the 90 minutes were action packed. Here are some quick highlights! Yes... I made sure to subscribe and you should too! 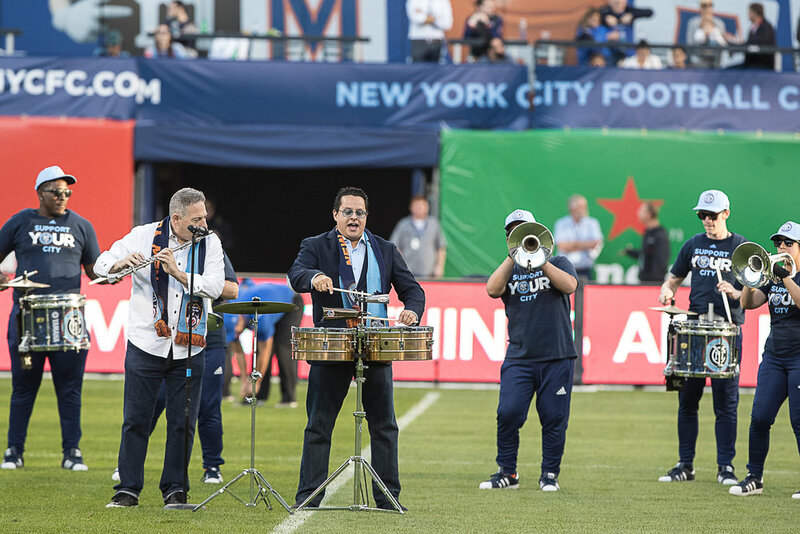 If you are a fan of New York City FC just a fan of soccer in general, I hope the photos below capture the essence of the sport. There was so much I learned about shooting an event like this one. But the one thing that remained the same is the passion among these players. I guess it's the same for all professional athletes and at any sport. They are hungry for the win. The fans were NO JOKE!!! They love the New York City FC. So, there you have it! Everyday Lifters photographed a soccer game and no chalk or barbells were involved. The potential of getting hurt was still there and I left inspired! I had a few people ask if I would ever consider doing more "mainstreamed" sports. Of course I would! Weightlifting is and will always be my first love. But these opportunities are good for me. It forces me to relearn my camera settings and I get to meet other photographers! To see what the team is up to.. please follow them on Instagram!